One of the biggest challenges when you first go paleo is quick and easy breakfasts. 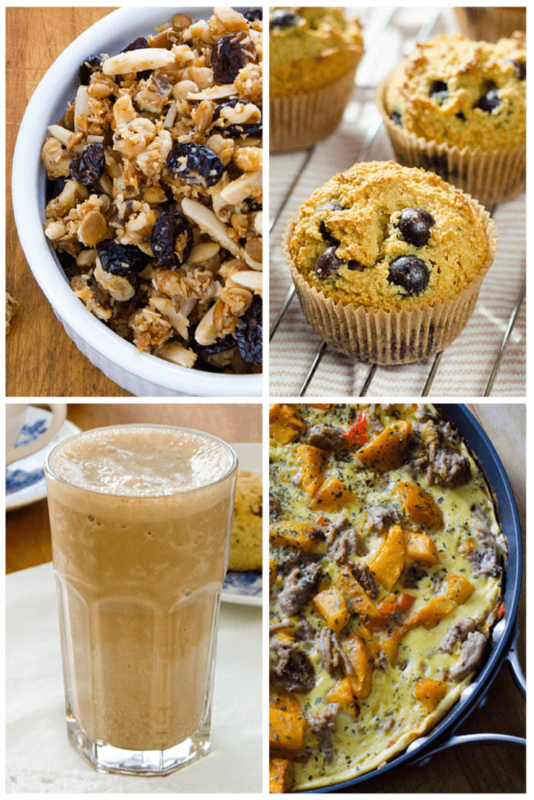 These paleo breakfast ideas have you covered for the whole week! When you can't just stop and grab a muffin at the local coffee shop, planning ahead is important. Make sure you keep your pantry, refrigerator, and freezer stocked with everything you need to make a fast gluten-free, grain-free breakfast. Here are 7 paleo breakfast ideas to get you through the week. 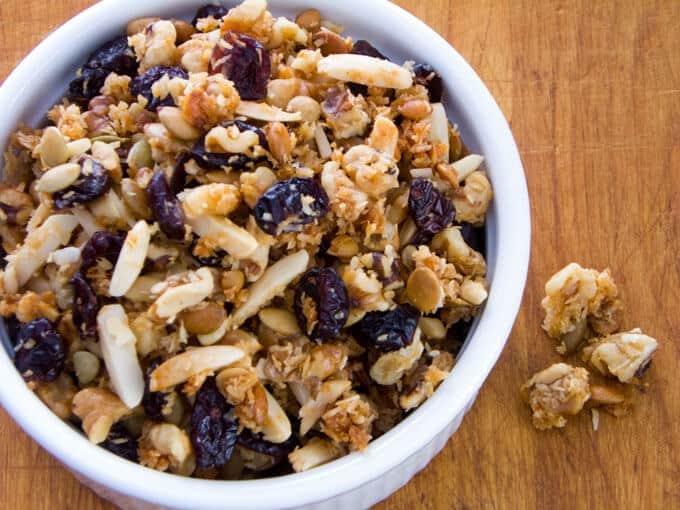 Cranberry Walnut Paleo Granola — make this simple granola and store it in the pantry for when you need a quick breakfast. It's a perfect topping for your smoothie bowl! 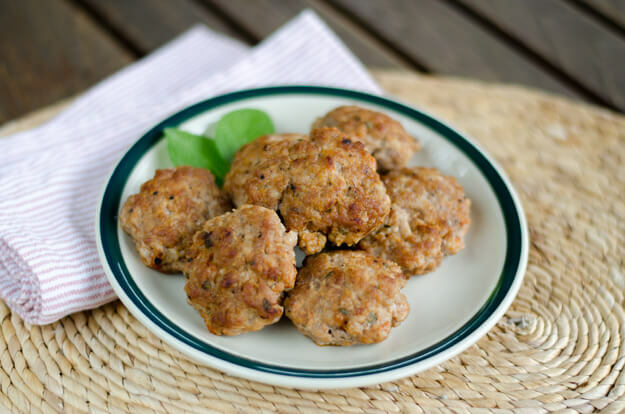 Paleo Breakfast Sausage — make-ahead sausage patties can be cooked in the morning, or pre-cooked and just reheated. This super easy recipe is also keto and Whole30 friendly. 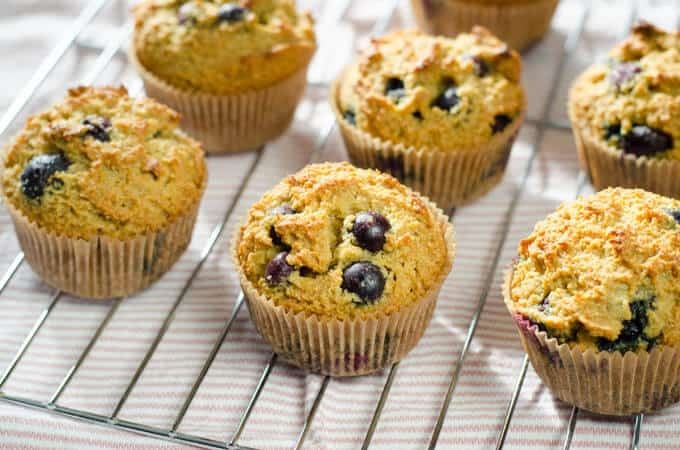 Blueberry Paleo Muffins — make these on the weekend and freeze. They can be thawed and reheated in the oven. Or just grab one out of the freezer and let it thaw on the way to work. 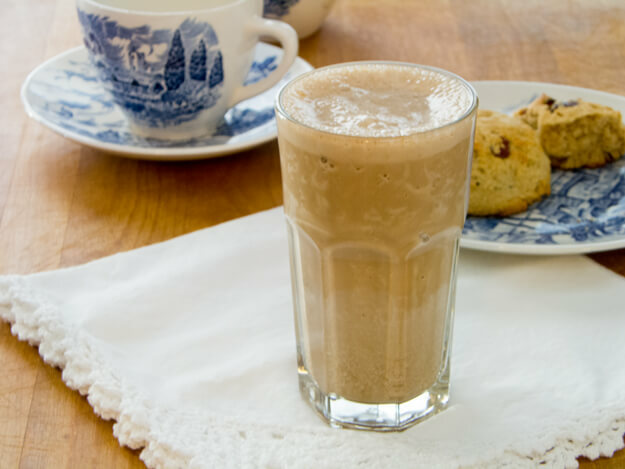 Espresso Protein Shake — my favorite breakfast smoothie. It tastes like a frozen cappuccino. 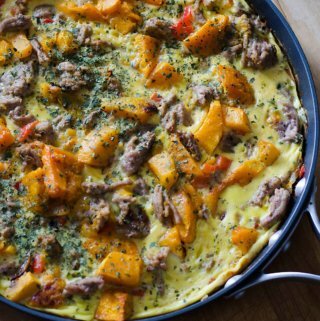 Sausage and Butternut Squash Frittata — what makes this a quick fix is using ingredients that are already cooked. 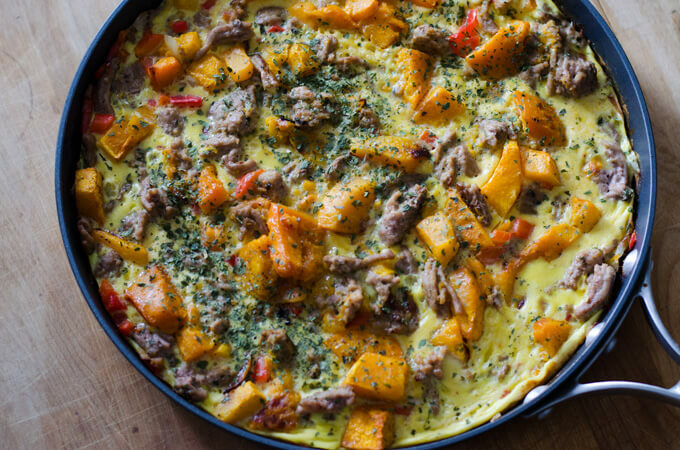 Pre-cooked sausage and leftover vegetables are perfect for frittatas. This is a great make-ahead meal that's perfect for meal prep. 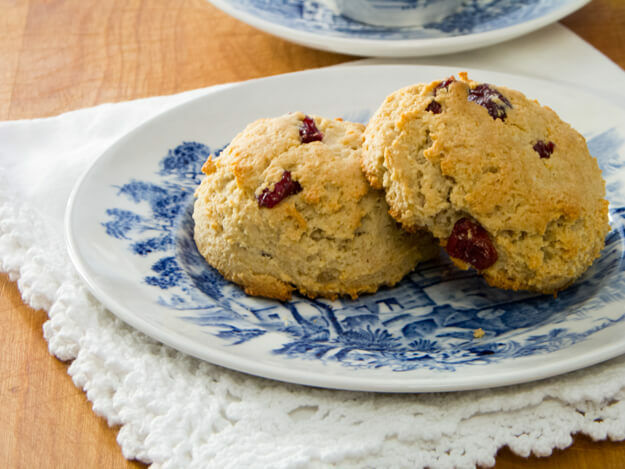 Cranberry Orange Scones — these scones are easy to make-ahead and freeze so you can just take them out of the freezer as needed. Paleo “Instant Oatmeal” — this grain-free n'oatmeal takes just minutes to make. To make it even faster, make a batch of paleo oatmeal mix ahead of time. 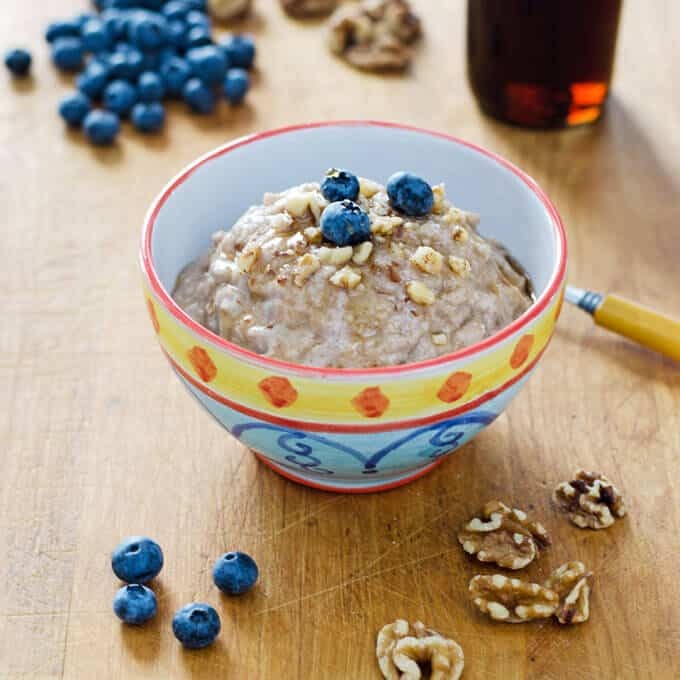 Watch the video of how to make paleo oatmeal here. 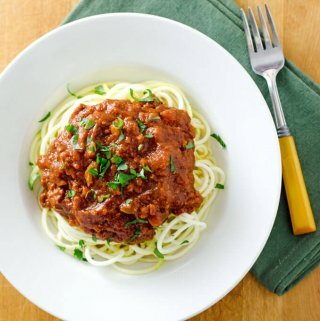 Looking for more easy paleo meals to try? 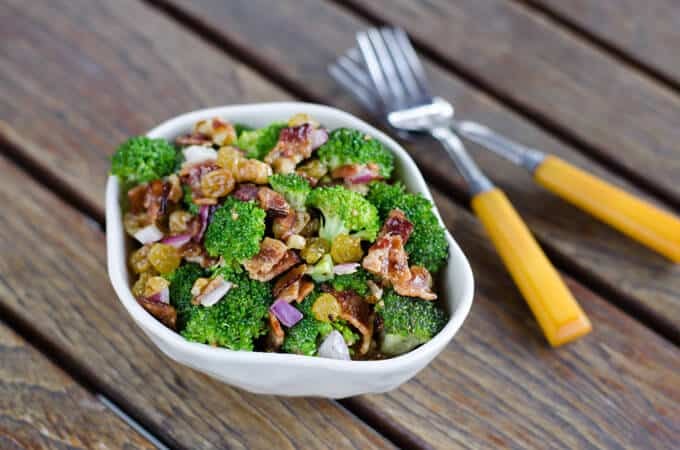 Here are some easy paleo recipes for lunch, dinners, and snacks. 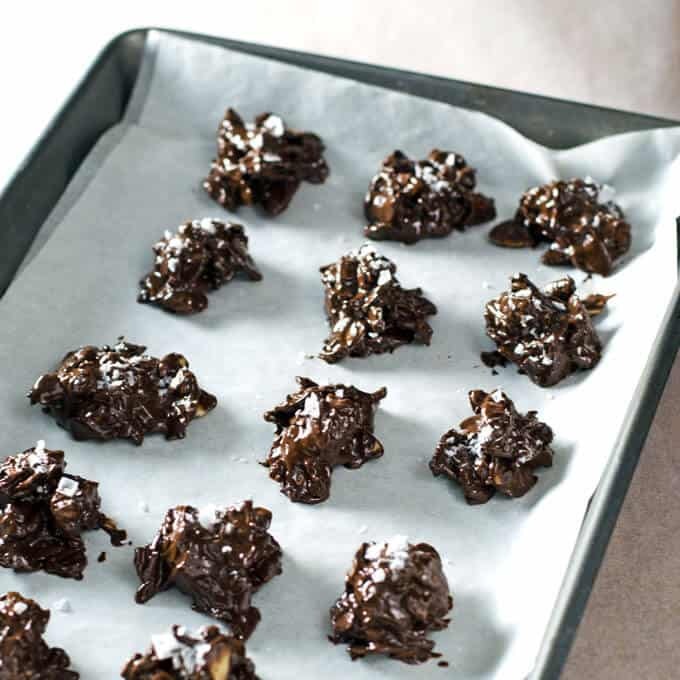 All of these recipes are gluten-free and grain-free. Some are also vegan, keto, or Whole30 compliant. Great ideas. I’m stuck on eggs for breakfast, and although there are endless ways to cook them, sometimes I want something else. Thanks, Kalyn! I love eggs too, but lately I’ve been on a n’oatmeal kick! Yay! I’m so glad you love it Silvia! I love that most of these recipes do not contain eggs (I’m highly intolerant) and most breakfast recipes contain eggs. Thanks for sharing!